Club Loose Presents the Etown Pro Brodown! – Sunday June 28th! Everyone knows that we have a bunch of FormulaD dudes who regularly come out to shred at the #greatestplaceonearth in their thrash cars. Well since they are going to have their pro cars pretty close next weekend, we decided to invite them out for a fun Sunday of drifting. 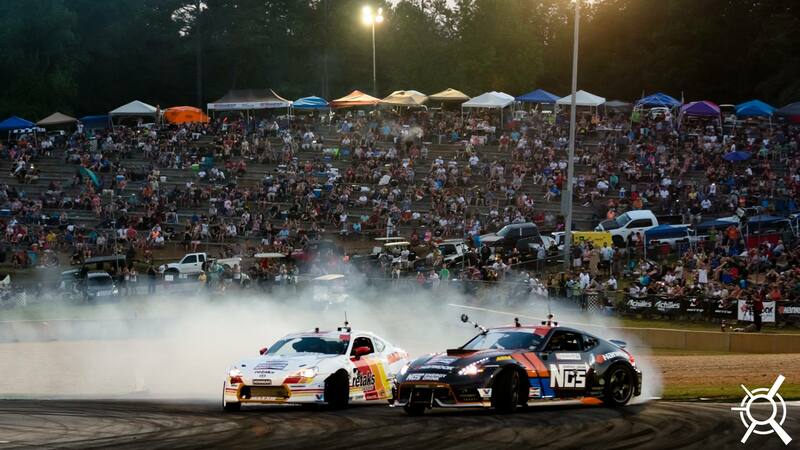 Chris Forsberg, Ryan Tuerck, Geoff Stoneback and a few other guys will be bringing out the cars that they’re competing with at Wall to Englishtown for the first time that will be open to the public. The event will also be open to a limited number of A and B group drivers. So if you want to get out on track at the same event as a bunch of 1000HP monsters, this is your chance. And if you aren’t driving, come hang out in a much more relaxed setting with some of your favorite drivers. Grab a drink at Sneaky Pete’s and watch these dudes tear up the track. Spectator tickets are $20. They will get you into everything at the track. Summer Slam is also happening so you can go over there for a minute if you want. Gate opens for drivers at 11AM. Drifting starts right after drivers meeting. Event is over at 5PM. Driver registration will be open until Friday June 26th at midnight or until it is full. It is $75 to drive. Use the Paypal link below to sign up. Normal rules apply for tech. You need to pass before you can get out on track. And finally, remember to tag your Instagram posts of you getting ready for the track or working on your car or driving at the track with #godrifting and #clubloose, maybe #clubloosemakestheworldtakes and #greatestplaceonearth and #listentoclubloose too. And then visit Go Drifting or Go to Hell! to see what everyone else is up to. Previous Post FNDP – 6/12/15 – #greatestplaceonearth – Let’s Party! Next Post Independence Moves! – Come celebrate July 4th at the #greatestplaceonearth!